Mohebi Logistics and Nestlé Middle East celebrate the successful transition of Nestlé’s logistics operations to the new Mohebi Dubai South site, the latest word in High-Tech logistics facilities in the Gulf region. For a company like Nestlé, every minute counts. The ultimate challenge was to undertake this process as smoothly and seamlessly as possible, with no delays to regular service. Project Beacon was the name given to the whole process of identifying the right logistics partner for their new regional hub in Dubai, monitoring the 3PL’s construction of new warehouse facilities and transferring all products to the new Dubai South site. After selecting Mohebi, construction of the site took two years, with BCC (Building Completion Certificate) awarded in late 2016. 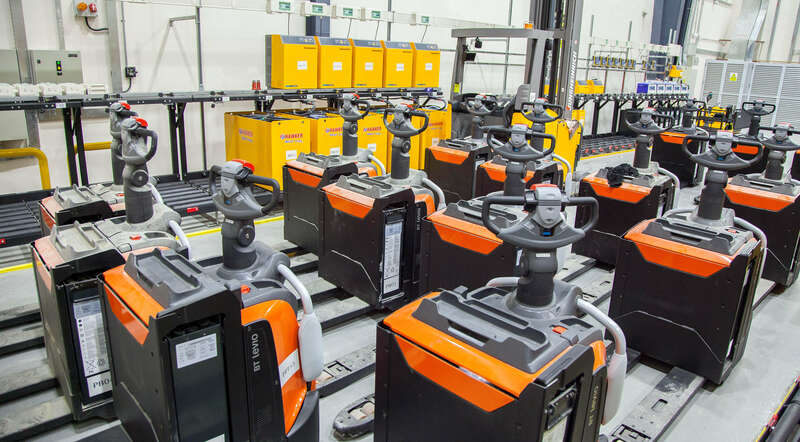 This is now one of the most environmentally superior facilities in the region, with a warehouse containing 87,500 temperature-controlled pallet positions on a 50,000 square metre site. All Nestlé product transfer processes were undertaken over one month from early January to February 2017. 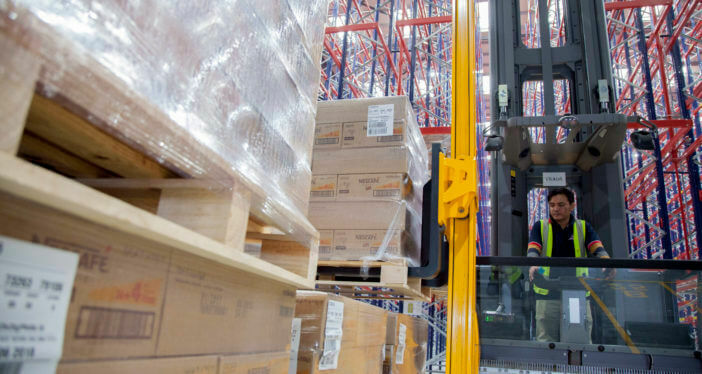 During that time, over 40,000 pallets were moved to the new location with zero incidents and a sustainably high level of service to Nestlé’s UAE customers and to the operating countries in the region. There was also zero delays on Nestlé’s UAE operations and on exports to other operational countries. Truck operations – delivering raw and packaging materials, picking up finished goods and truck turnaround time – were all close to a perfect 100% score. In addition, all health and safety manuals were rewritten by Mohebi Logistics. This allowed the Nestlé team to undertake 157 BBSHE (Behaviour Based Safety Health and Environment) observations and actions within one month. Chief Operating Officer Phil Showering commented that the three-year planning period with Nestlé inspired the company to create ‘best in class’ facilities incorporating safety-by-design in one of the most environmentally sustainable buildings in the region.